Happy Wednesday! This has just been a weird week so far. We had a random wintry mix come through on Monday so the kids got out of school a few hours earlier and then had a three hour delay on Tuesday. But I'm not complaining! The extra rest and sleep was much needed after springing forward on Sunday plus my husband has been out of town traveling for work. I'll take any reason to get a couple extra hours of sleep any day! Plus Monday was #nationalnappingday so the timing just worked out perfectly for a snow day. 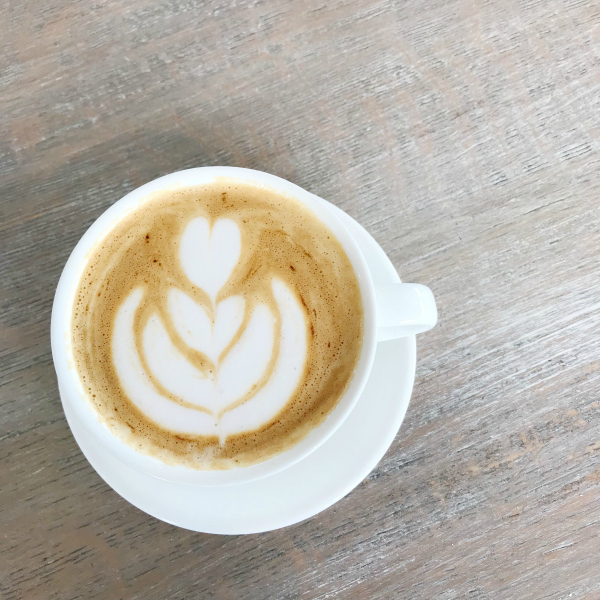 Today, I'm sharing my weekly roundup of photos from this past week on Instagram. 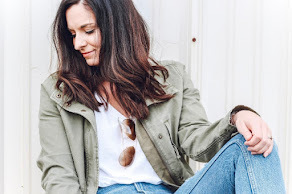 I am loving adding in new spring pieces to my wardrobe... even if I have to do it in layers since it's been pretty chilly here lately. 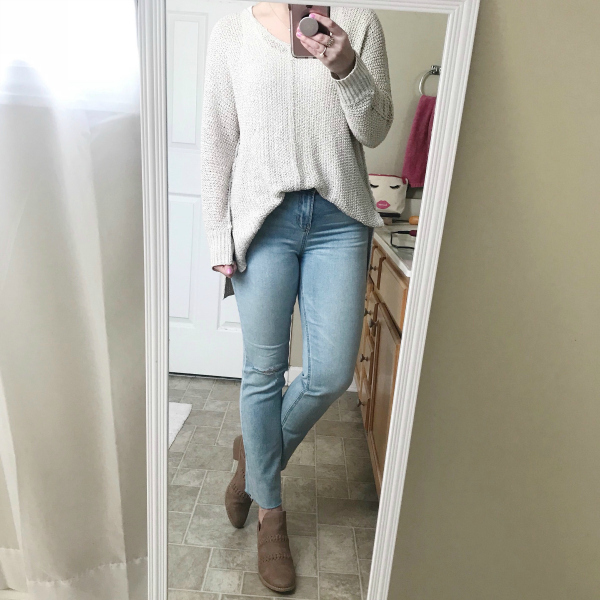 Spring style is always my favorite! These are a few of my current favorite things! The key ring is a must have for any woman. It makes finding your keys so much easier and you can conveniently slide the ring onto to your arm to hold your keys. The joy bracelet is my favorite piece in this pile of goodies because my best friend had it customized for me since it's my one word of the year. I love it! If you don't already own this top, it's a must have! The fabric is so soft and washed up perfectly. I always reach for it when I'm not sure what to wear. 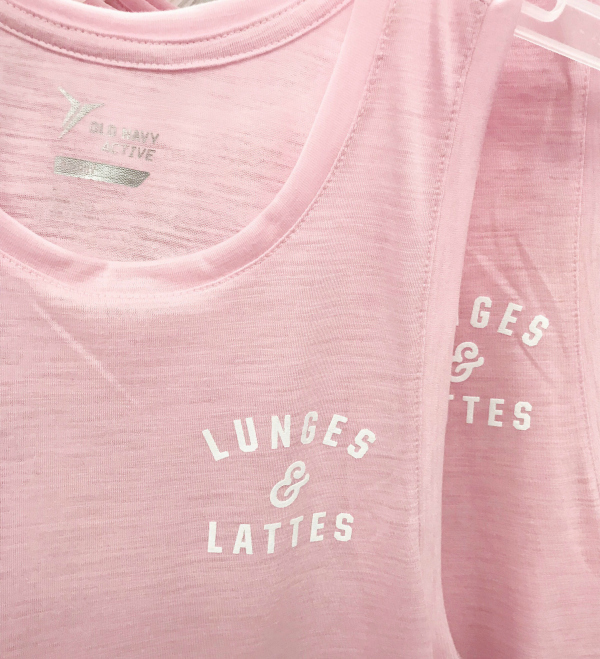 How cute is this workout tee?! Lunges and lattes are on my to do list today! I am dreaming of summertime and days at the beach! I couldn't resist the adorable scallops on this suit. I also love the color so much! 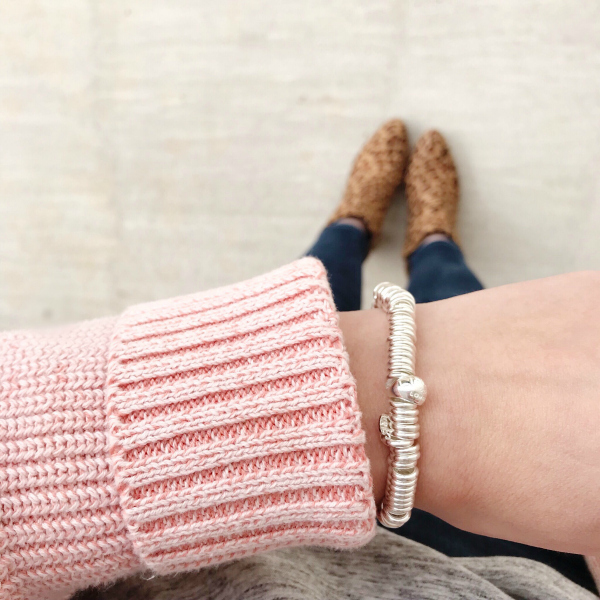 This gorgeous sterling silver bracelet is the perfect addition to my arm party and yes, I have been living in this perfect pink cardigan. So comfy! This sweater is definitely my favorite right now. 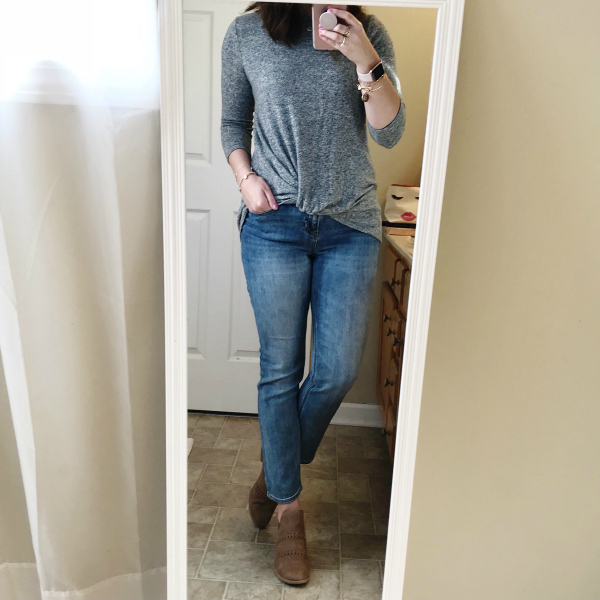 The color goes with everything and it fits relaxed yet flattering. I sized up one sized for a little extra room. I plan to transition it into spring with shorts!